This entry was posted in Magazine Translations and tagged Dreamcast, Famitsu, Masanao Maeda, Phantasy Star Online, Seaman, Sega, Shenmue on 12/05/2018 by BClarkOMP. He was involved with the Dreamcast at Sega, and served as the COO of Sega of America. He currently works at a CG animation studio affiliated with the Sega Sammy Group called Marza Animation Planet. The Dreamcast was known by many for using a large amount of money on promotions, such as the commercial featuring Managing Director Yukawa. It seemed like smooth sailing at first, but it was affected by problems with the graphics chip and supply shortages. Sega tried for a comeback with a large price drop, but they ended up having to cease sales a mere two years after its release. 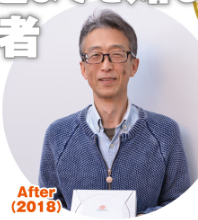 We ask Masanao Maeda, formerly of Sega, about what happened in that short time. Achieving Big Success Through Advertising Strategy Ended Up Being a Big Pitfall Before Launch! ?